Less than a week after Donald Trump’s swearing in, his administration has already had its first major impact on the beer industry. It could be the first of many. Yesterday, as part of the ongoing conversation around how Trump plans to get Mexico to pay for a wall on the US/Mexico border, White House Press Secretary Sean Spicer floated the concept of raising money through a 20 percent tariff on Mexican imports. (Later, he backtracked, calling it only “one idea”). The statement sent share prices plummeting for Constellation Brands – the US-based company that makes a number of the best-known beer brands in Mexico, including Corona and Modelo, specifically for export to the United States. The stock dropped about 2.7 percent, an on-paper loss in value of over $700 million. 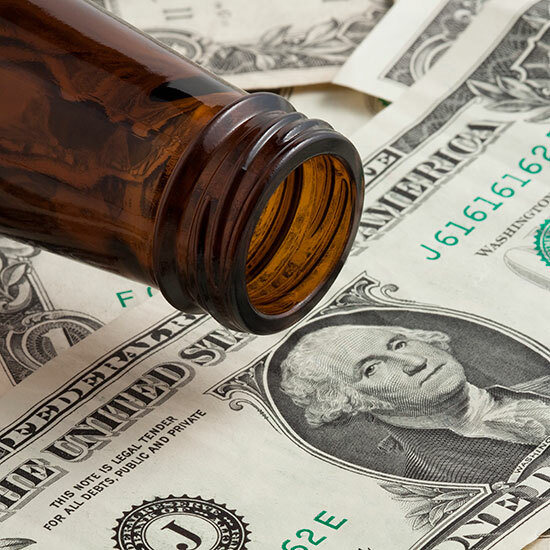 Investors’ fears are that a tariff could hurt Constellation’s bottom line by driving up the cost of their core Mexican brands – which, ironically, has been one of the hottest selling segments in the beer industry. However, even domestic brands that wouldn’t be directly affected by a Mexican tariff are beginning to worry about what proposals like it might indicate. “If the Trump administration starts ripping up trade agreements and gets into a trade war with multiple countries, the beer market could find itself completely upended,” Brooklyn Brewery CEO Eric Ottaway tells me. The New York-based brewer, which is America’s 18th largest, is an interesting case: Unlike most craft breweries, nearly half of the brand’s 280,000 barrels produced each year are sold overseas. “US brewers, like Brooklyn, might find themselves caught up in retaliatory market restrictions or newly imposed import tariffs,” Ottaway continues. But for most Americans, their biggest concern is whether the price of a beer will go up. Even then, the prospects seem uncertain. “Broadly, based on small domestic producers, I wouldn’t expect it to have a huge impact,” says Bart Watson, chief economist at the Brewers Association, a craft beer trade group. The “vast majority” of raw materials used in brewing are from the US, Watson explained, though “barley definitely has a decent Canadian component,” meaning if Trump’s tariff threats turn to our neighbors to the north, that could potentially impact prices. However, as is often the case, the market could be driven mostly by the large macrobreweries. If changing trade policies affect companies like Anheuser-Busch InBev and MillerCoors, that impact could cause a trickledown effect. “They might just reformulate their supply chains around the US,” says Watson. Such a move could make it more difficult or more expensive for smaller brewers to secure things like hops and barley, potentially keeping prices of big brands stable at the expense of higher prices for smaller craft brands.